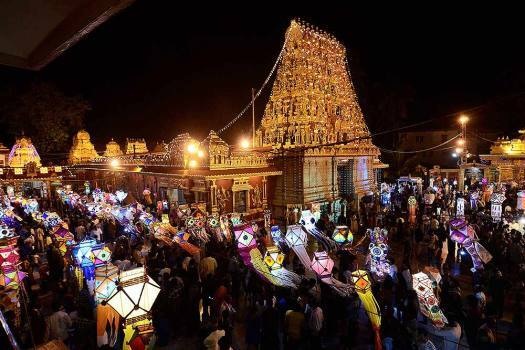 Traditional sky lanterns Goodudeepa's displayed at Kudroli Gokarnatheshwara Temple in Mangaluru. 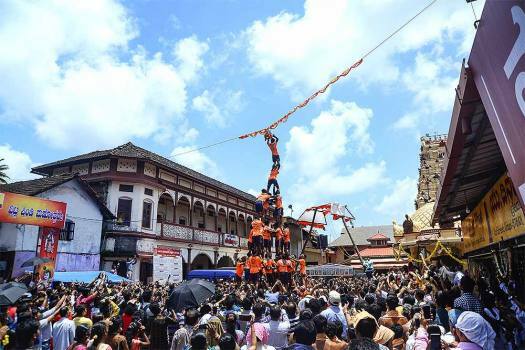 People form a human pyramid to break dahi-handi on the occasion of Janmashtami festival, in Mangalore. 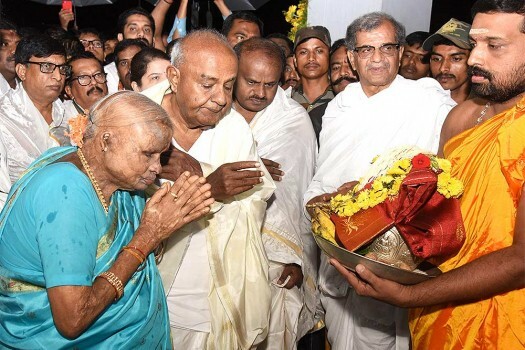 JDS Supremo HD Deve Gowda and Karnataka CM HD Kumarswamy during a ceremony at Dharmastala Temple, in Mangaluru. 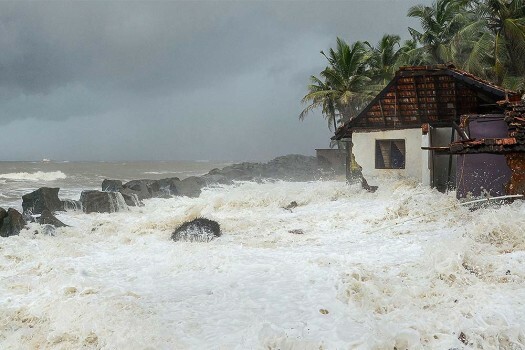 A high tide crashes into various settlements around the coast near Mangalore. 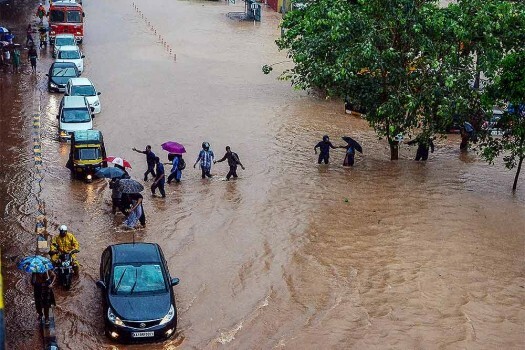 Vehicles wade through a flooded street following heavy downpour in Mangaluru. 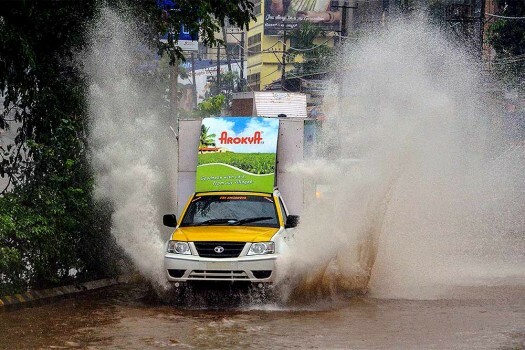 A car wades through rain water following heavy downpour in Mangaluru. 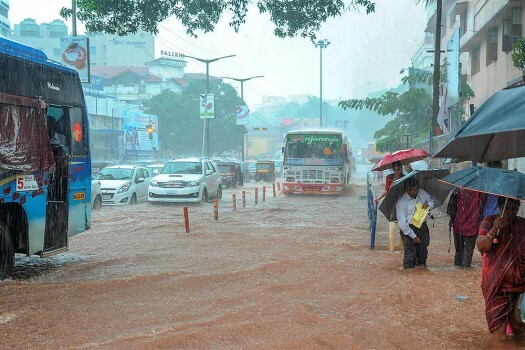 A view of a flooded locality after a thunderstorm, in Mangaluru. 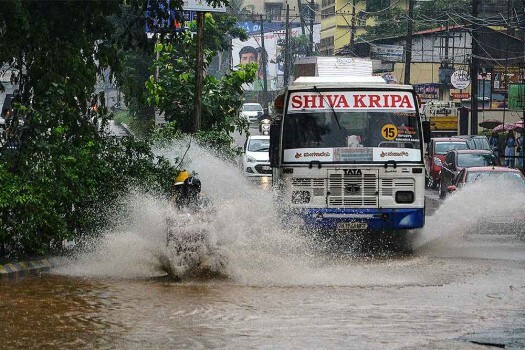 Vehicles ply on a waterlogged road after a thunderstorm, in Mangaluru. 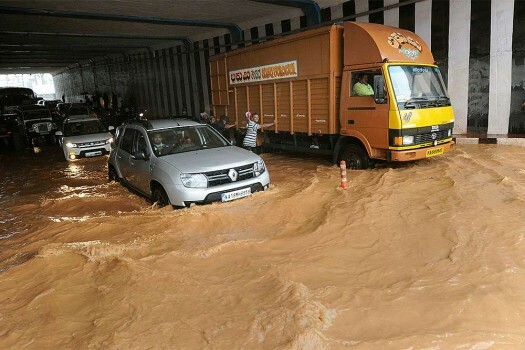 Vehicles ply at a waterlogged road after a thunderstorm, in Mangaluru. 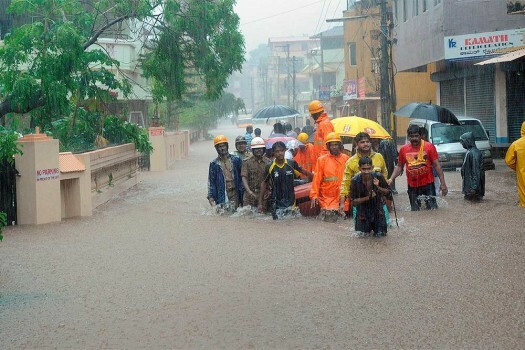 Rescuers at work in a flooded locality after a thunderstorm, in Mangaluru. 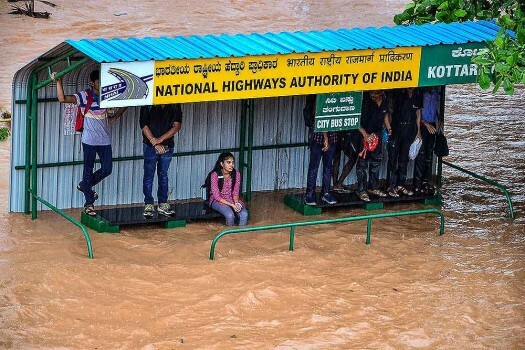 A flooded bus stop after heavy downpour in Mangaluru. 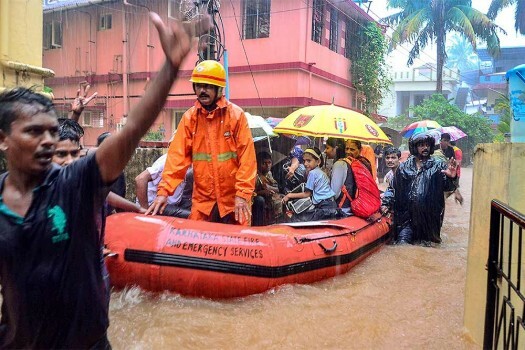 Rescuers shift people to a safer place from a flooded locality, after a thunderstorm, in Mangaluru. Prime Minister Narendra Modi addressing at an election campaign rally in Mangaluru, Karnataka. 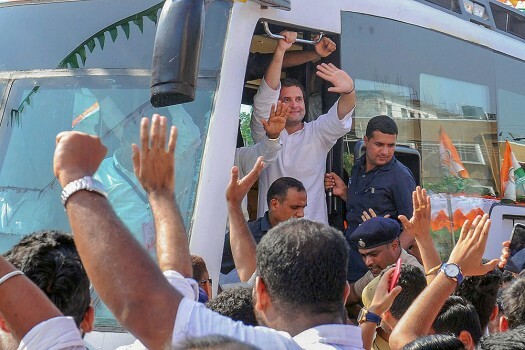 Congress President Rahul Gandhi waves at the supporters as he starts his Dakshina Kannada tour with a road show, in Mulki, Mangalore. A participant with his buffalo's run in Kambala (buffalo race), at Mangalore. 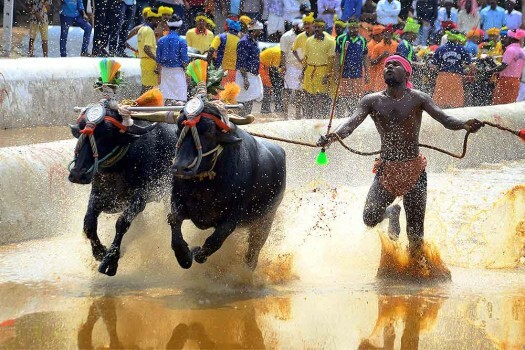 Kambala is an action packed buffalo racing sport in south Western Karnataka. BJP leader and former Karnataka chief minister B S Yeddyurappa addressing the 'Mangaluru chalo' bike rally programme in Mangaluru. 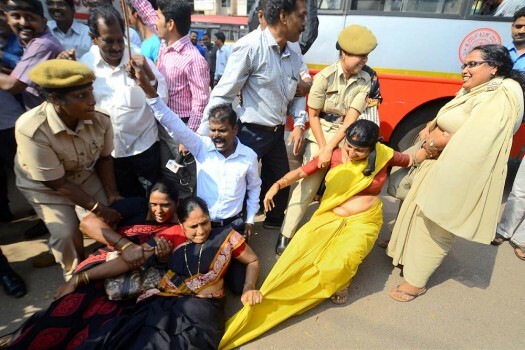 Police detain BJP activists who tried to barge into the venue to stop the celebrations at the Mangaluru Zilla Panchayat. 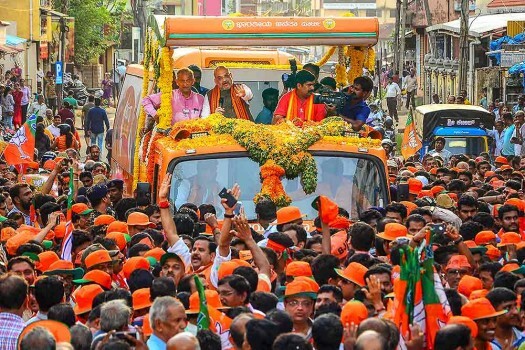 Mangalore, and coastal Karnataka, is a BJP stronghold. Over the past three decades, dominant communities such as the Bunts have largely shifted to the BJP. India has carried out three cross border strikes in the last five years, Union Home Minister Rajnath Singh said in Mangaluru on Saturday. 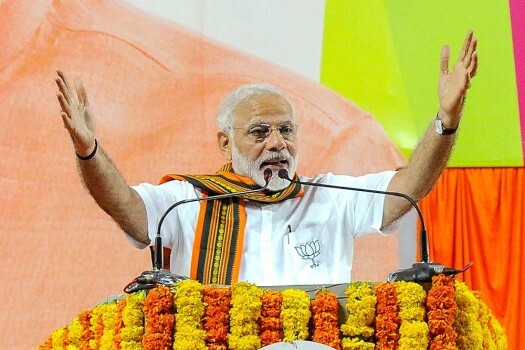 Prahlad Modi said the NDA-led Modi government at the Centre had been successful in implementing various development works throughout the country in the last four and a half years. They also warned that the police department would be directly responsible for any untoward incidents during new year celebrations. The thieves broke the rear door of the house and made away with the ornaments and Rs 13,000 in cash. The neighbours could not hear any noise as it was raining, police sources said. 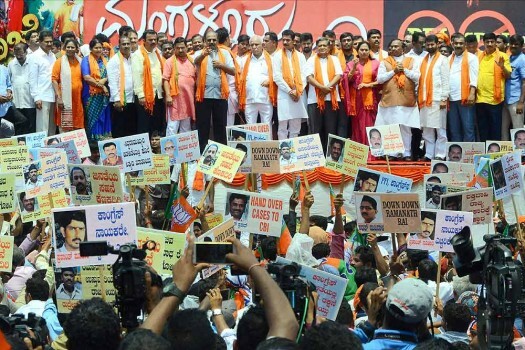 The mega rally was organised to protest the alleged killings of the Hindu activists in the coastal districts of the state. An advertisement film was made for the Shri Ram Sene on January 24. It was scripted and directed by Muthalik. It starred the boys that Muthalik had sent (he was not there himself -- clever). It also featured, involuntarily, the young men and women who were thrashed and molested. 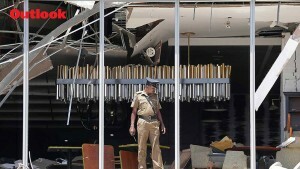 It was shot by the TV crews and freelance cameramen. Its broadcast, the most expensive part of advertising, was paid for entirely by the news channels. And it still is. Muthalik set about that day to become a national story. He knew what he had to feed the television stations to become a big story: upper-class women, violence, moralism. And of course he needed to reach his audience. And he did that through a single act. 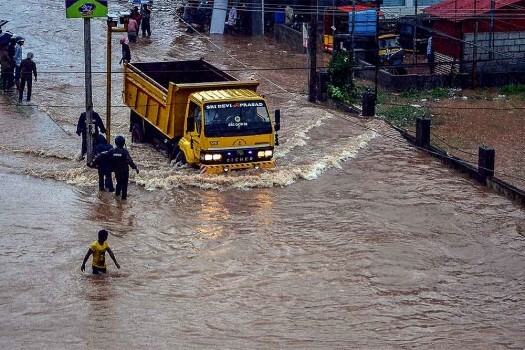 As they repeat the footage from that day, it is accompanied by high dudgeon from the television anchors, especially India's liberal English news channels. But this is a hypocritical indignation, because they are using the footage of the act, just as Muthalik used them to get the footage. The channels remind the girls, slapped, falling, fondled, of their humiliation every time they broadcast it, but they persist in doing it while insisting that they are on the girls' side. Muthalik, who has played his cards excellently, comes across as calm. And like dogs being thrown a bone, the television journalists have chased the stories that Muthalik has tossed in the air after that day. Journalism is reactive. The reporter responds to the world and the editor must pick and choose what it is of interest. He must also decide what is compelling.